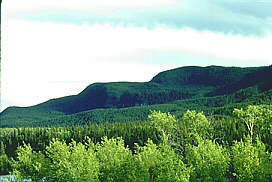 Located in the centre of British Columbia, Vanderhoof is a pleasant agricultural and forestry based community with nearby opportunities for outdoor adventures. Nature lovers will be intrigued with the thousands of migrating Canada Geese that use the area as a stopover for their spring and fall migrations. Those interested in history can get a glimpse of the past at a Pioneer Village on the edge of town. Outdoor enthusiasts will be pleased to find so many activities open to them from cross country skiing to golfing and sightseeing. 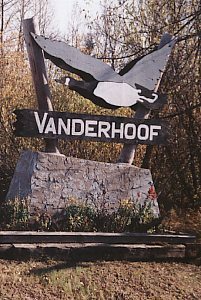 Access: Vanderhoof lies on Highway 16 (Yellowhead) and is serviced by bus, rail and Vanderhoof Flying Service as well as a helicopter service. Just 60 km (37 mi.) 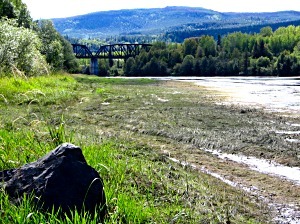 north of Vanderhoof is Fort St. James. First established as a fur trading post in 1806, Fort St. James has changed its focus a number of times; from being the hub of northern aviation in BC before the northern highway system was developed to concentrating now on logging, forestry and wood manufacturing. Mementos of those earlier eras can be seen in various locations. The re-created Hudson's Bay trading post at the National Historic Site has reenactments of fur trading life that is surely the highlight of a visit to Fort St. James. 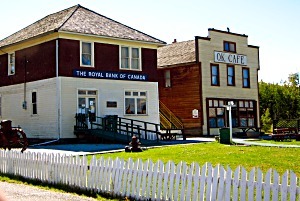 The area also contains one of the oldest churches in British Columbia. There is a memorial and plane model on the shore of Stuart Lake to commemorate early bush pilots. Fort St. James also has a lot to interest the outdoor enthusiast; the three local lakes with lodges and campsites, are popular for camping, fishing and boating. You can find Indian rock paintings and explore caves found on the lake which are only accessible by water. Access: To Ft. St. James, turn north off Highway 16 at Vanderhoof onto Highway 27. Commercial bus lines travel this route. Accommodations: There are campsites available in each community as well as motel with fishing and hunting lodges in the area.